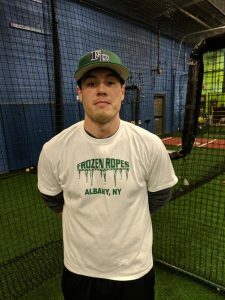 Brendan Roberts is owner and president of the Frozen Ropes training center in Albany, NY. Brendan has a wealth of baseball experience both as a player and a coach. After graduating from Shenendehowa in 1997, Brendan took his talents to SUNY-Oswego, where he graduated in 2001 with a Business Degree and Athletic Coaching Minor. Coach Roberts career continued as a member of the Colonie Knights and Capital City Canes where he was a 17 time All-Star and perennial League Champion. The outfielder/catcher is the all-time leader in every major statistical category including Home Runs (78), RBIs (289), 2B’s (88), Runs (450), SB’s (333) and consecutive games played (329) for the NABA/MABL. After finishing up his MABL career, Brendan moved on to become a player coach for the Albany Thunder in the Albany Twilight League. In his 3 seasons there, he was a 2 time league All-Star and All League Player. In 2016 Brendan was inducted into the CDMABL Hall of Fame. Brendan currently plays for the Frozen Ropes Indians in the CDMSBL League. Frozen Ropes has won back to back to back league championships while compiling a record of 104-9 in the last 3 seasons. Brendan was the 2015 Playoff MVP and 2016 League CY Young award winner. Brendan is also the catalyst behind the Frozen Ropes teaching model. He has brought his vast experience, knowledge and outstanding communication skills to Frozen Ropes in 2004. He has spent hundreds of hours dissecting his own swing on video and his cerebral approach to hitting allows him to easily identify pitfalls in other athletes. Coach Roberts provides instruction on all phases of the game thru private, semi-private and group lessons and leads our clinic and advanced training programs. Brendan is extremely effective training players of all ages on the Frozen Ropes teaching philosophy and curriculum. Quentin started out as an instructor in 2009, and then quickly moved into the General Manager and Director of Operations role in 2010. After excelling in these positions he decided In January 2015 to buy in and become Co-Owners with Brendan Roberts. Quentin is responsible for the training program and instructional model used to prepare Frozen Ropes Albany students for success. After his playing days at SUNY Cortland, Quentin has remained a vital part of the Capital District’s Baseball and Softball Community. He has successfully coached at Shaker, Tamarac, Bethlehem, Bishop Maginn, Albany, Colonie (Travel), Braves (Travel), Green Tech and Outlaws (Travel). Most recently he has created a Baseball Program at Green Tech High Charter School where he is currently the Varsity Head Coach, Health/Physical Education Teacher as well as the Athletic Director. A sought after clinician and teacher of the game, Quentin’s playing skills had earned him top accolades such as Batting Champion in 2010 (.463), 2011 (.575), 2012 (.535), and 2014 (.641). He has also won numerous MVP honors in (2010, 2012, and 2014) in the CDMSBL. 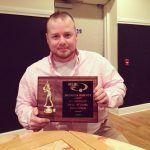 Combining his experience as a player, coach and nationally certified Baseball Instructor, Quentin will provide players with an individualized program designed to get the most out of their ability and get them to there desired level. Bill comes to us from the Dan Duquette Sports Academy in Massachusetts. At the Academy he was the lead Softball and Baseball Pitching Coach since 2004. In addition, Bill has coached both Baseball and Softball at the High School Level. Currently, Bill is coaching at Lenox High School as the Head Varsity Baseball Coach. Bill played High School Ball at Lenox HS and then played Collegiately at North Adams State as a Pitcher. After graduating, he worked in the Front Office for the AA Pittsfield Cubs for 2 years. Along with his coaching and playing experience, Bill is also certified as an umpire in both baseball and softball. He has called games from the youth level all the way up to the Canadian-American League Professional Baseball Games. Bill will use his vast experience of playing, coaching and umpiring to teach all phases of the game with a focus on pitching to softball players of all ages. Bill has been with Frozen Ropes since 2011. 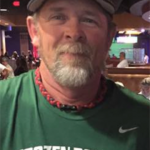 Bill is the current coach of the Lady Outlaws 12U Travel Team and still plays baseball in the CDMSBL for the Cyclones as a pitcher and 1b. The newest addition to our staff comes to us via Shaker High School. After Graduating from Shaker in 2011, Zach went on to pitch at Schenectady CC and then on to Division 2, Barton College in Wilson, North Carolina, graduating with a degree in Sports Management. At Barton, he was an All-Conference Pitcher and stills holds the schools all time E.R.A. record. After his college playing career concluded, he Pitched in Independent Pro Ball for both the Watertown Bucks and the Plattsburgh Redbirds. Now back in the area, he’s pitching in the Twilight League for the Albany Athletics. Zach brings to us his vast knowledge of pitching, mechanics, conditioning and mentality to our staff. A local graduate, Kayla went to Colonie High School and then went on to attend The College of Saint Rose. At Saint Rose, Kayla received her Bachelor’s in Childhood Education. While there, Kayla played for four years as the starting SS, where she was the team captain both her junior and senior year. She finished her college career with a batting average of .326. After graduating, Kayla has gone on to coach at Both Hudson Valley CC and St. Rose Softball. She is currently the head coach at Schenectady High Softball and for the 16U Lady Outlaws. Kayla’s experience as a player and a coach at the college level gives her the ability to further educate players on how to make it to the next level. Her love and passion for the sport makes her a great fit for the Frozen Ropes staff. She will leverage her high school and college playing experience along with her college coaching experience to teach hitting, fielding and base running skills to softball players of all ages. She is available for private, semi-private and team training. Dan Jones comes to Frozen Ropes as a former 4 sport Varsity Athlete at Mechanicville High School participating in Football, Wrestling, indoor track, and Baseball. Dan was a Varsity starter on the baseball team from his Sophomore year until he graduated earning himself conference honors and leading the Red Raiders to their first Sectional win since 2005 with a 12 strikeout performance. After High school Dan went on to Springfield College where he majored in Sports Biology. He would also pitch for Springfield. At Springfield College Dan served as both a starter and reliever. As a senior, Dan was part of a Springfield team that finished second in the league to the eventual D3 runners-up, Wheaton. Upon completion of his B.S. Dan remained at Springfield where he completed his M.S. in Exercise Science and Sport Studies with a concentration in Sport and Exercise Psychology. He completed a thesis looking at the effects of anxiety on pitchers. While completing his Masters, Dan served as an Assistant Coach at Springfield College and Head coach of the school’s JV team. Dan conducted lessons for the Dream Bat Company while he resided in Massachusetts. 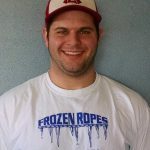 In addition to Frozen Ropes, Dan serves as a Personal Trainer at Vent Fitness in Clifton Park. Dan is still active in local baseball and is currently a member of the Albany Thunder of the Albany Twilight League. Dan will use his vast experience as a player and coach mostly to help teach the many different facets of pitching. He is available for private and semi-private lessons. Steve has a great love for baseball and enjoys sharing his knowledge and coaching with the next generation of ball players. He has been a New York State certified baseball coach since 2013. He graduated from New England College in 2015, earning a Bachelor’s Degree in Sport and Recreation Management and Outdoor Education. In his 2 years as a catcher for the New England Pilgrims, he put up career numbers of .324 batting average, with 59 hits: 14 doubles, 5 home runs, 30 RBIs and 32 runs scored. 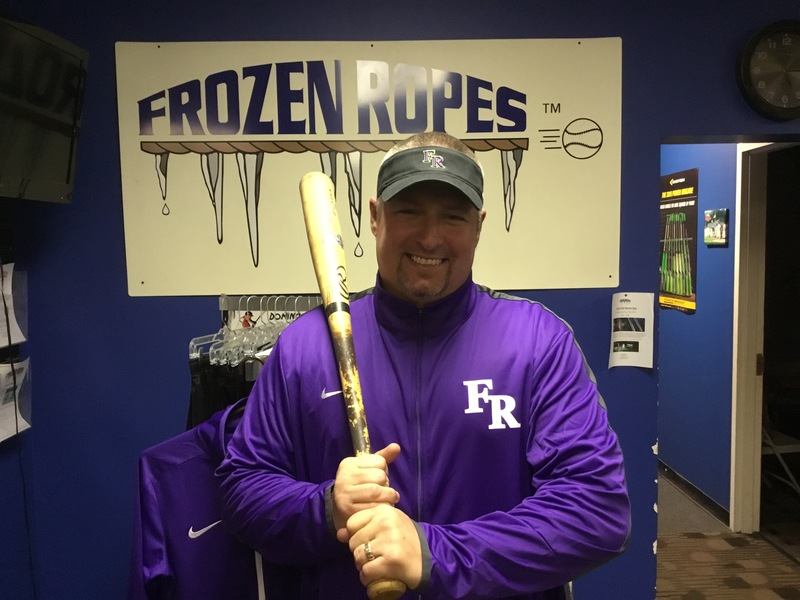 Steve was an original Attendee of the Frozen Ropes High School Prep class from age 15 through college and is the first ever Frozen Ropes student to join the Frozen Ropes full time staff. He began his coaching career at the Frozen Ropes summer camps in 2011. In December 2015 Steve signed his first professional contract to play independent rookie ball with the Topeka Train Robbers in the Pecos League where he batted .308. In 2016 and 2017 Steve played professional ball in Kentucky. Steve comes back to Frozen Ropes in the off-season to use his experience to help the new generation get to the next level. Cheriel brings in a very accomplished background having Pitched and played infield for Schenectady County Community College. In her two years, Cheriel led the Royals to a winning season in her final year. Also playing basketball, she was named the Student Athlete of The Year for both the 2007 and 2008 seasons. Prior to college, she played at Ravena High School as a 4 year Varsity Pitcher going to the final round of sectionals. Cheriel, a late starter didn’t start playing until the age of 12 with the Bethlehem Tom-Boys and quickly established herself as an accomplished young player. Currently Cheriel plays in several coed leagues here in the Albany area, playing both fastpitch and slowpitch. She brings with her to Frozen Ropes, her knowledge and great enthusiasm for the game. She is available for private, semi-private and group lessons in hitting and pitching. Cheriel joined the Frozen Ropes Staff in early 2013. 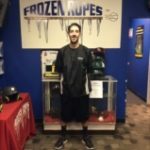 John “Pep” Ripepi Jr. began working for Frozen Ropes in 2016. John was a graduate of Amsterdam High School, Class of 2007. John was a 3-Sport star for the Rams, playing 3 years of Varsity baseball and soccer, receiving all league accolades in both sports. After consideration of many local junior colleges, John decided to continue his education at the Massachusetts College of Liberal Arts (MCLA). While at MCLA, John spent four years in the baseball program where he started at shortstop for three plus seasons. He completed his playing career as the All-Time leader in steals in a season with 20. He continued his career at MCLA as an assistant coach while completing his degree. A special opportunity occurred during this time, when John decided to pursue coaching as a minor. He latched on with Drury Regional HS as an assistant coach to the JV program, where he worked with fielders and hitters, as well as serving as the pitching coach for the team. As an instructor, John has been working to help improve on hitting, fielding, and base-running aspects of the game. In addition to instructing, John is currently the Assistant Coach at Hudson Valley CC Baseball Team. 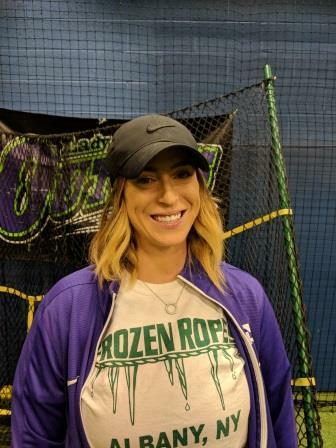 Rebecca is the newest addition to the Frozen Ropes Staff. After a successful pitching career at Niagara Catholic, Rebecca moved to the Albany area and took a job as a teacher and Varsity Coach at Watervliet HS. 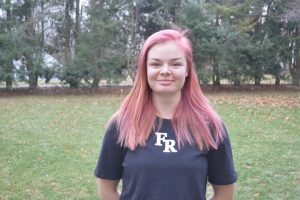 She joined FR in 2018 and leads our Softball Pitching classes. Her knowledge of Softball Pitching is perfect to take your player to the next level. Lizette Roman-Johnston came from Wilton, CT to play Division III softball at Skidmore College, where she finished her senior year with a .415 batting average and tied the school’s record for longest hitting streak. This, along with her abilities at first base, helped earn her an All-Region First Team honor. In the classroom, Lizette double majored in English and Psychology. After she graduated in 2018, she coached throughout the summer and fall at the 10U, 12U, and 14U level. She looks forward to using her detailed and extensive training in mechanics to help improve the swings of young players.